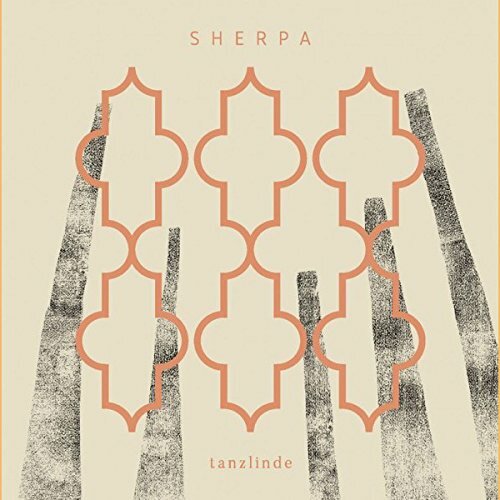 Sherpa is a mysterious Italian five-piece (plus numerous guests) making a gentle, folky, psychedelic rock that features guitars, bass, loops, synths, xylophone, harmonium, hand drums and other percussion, and vocals, and probably a lot more, but those are the main elements that jump out of this primordial soup. Their vocal harmonies (augmented by numerous female guest singers) are beautiful, dark, and eerie, and the instrumentation works well together as one, shimmering and soaring, above and beyond in an obscure panoramic way. Their sound seems to be inspired most by early 70s German psychedelic rock, more specifically Popol Vuh (early 70s period from about Hosianna Mantra through Letzte Tage - Letzte Nächte) and early Amon Düül II (think Phallus Dei), but one can hear echoes of eastern and Indian styles all through their music, especially in the vocals. There is in fact one song called “Robert W” which one can figure is somehow inspired by Robert Wyatt, though it really sounds little like anything I have ever heard by him.Thhroughout the album’s ten tracks there is a lot of subtle and overt power upsurging through their sound, the listener often being surrounded by jangly, echoey guitars, and primal rhythms. They do occasionally rise up to rock, but it’s nothing like you would expect, sticking faithfully to that early 70s sound that delivered psych on a number of different levels. If one appreciates the sound of any of those artists cited in this review, then Tanzlinde is a sure bet.